All of your favorite mutants are back, and thanks to X-Men: The Official Game, you get to not only stand in their shoes , but you get to wield their powers as well. 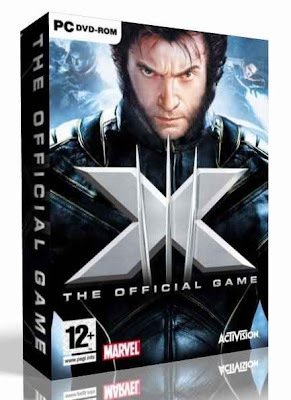 The Official Game game is set right before the events that occur in X-Men 3: The Last Stand and chronicles the events leading up to the film. With three X-Men to control, tons of fast-paced action, a cinematic-quality presentation of the gameplay and more, X-Men: The Official Game truly captures the big-screen excitement and grandeur of the movie. As a player, you will be able to control Wolverine, Iceman, and Nightcrawler throughout the game, evolving and upgrading the special mutant powers and abilities of each of them over time, becoming faster, stronger and more agile as you progress with the Mutant Evolution System. Use your lethal admantium claws and crushing brute force as Wolverine; scale walls and swing from rafters as Nightcrawler; and race down ice slides at break-neck speed as Iceman. Regardless of who you are, you’ll battle enemies from both the feature films and the comics, such as the Brotherhood of Mutants and more. Other X-Men characters, including Professor X, Cyclops, and Storm, also join forces with you during multiple types of gameplay.